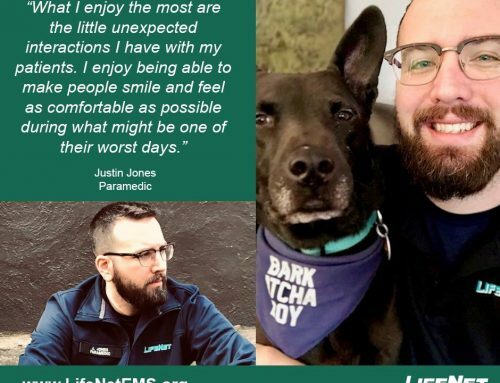 Eli is an EMT-B who recently came on full-time at LifeNet after working for us part-time for almost a year. 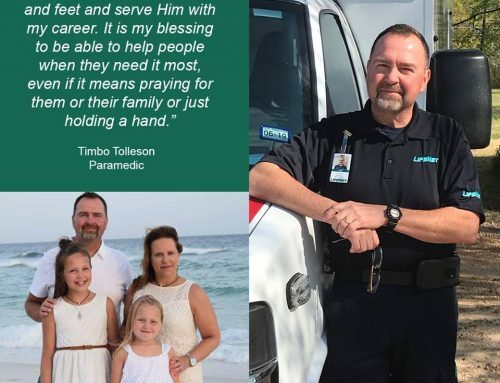 He recently completed paramedic school and is working on completing the national registry. 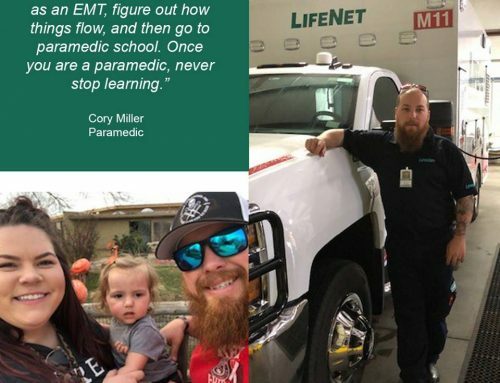 He was inspired to checkout a career in EMS by his father. 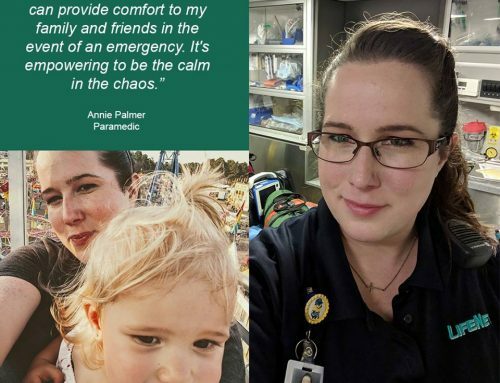 “I got into this field of work because my dad was a paramedic when he first got out of high school, and he encouraged me to try it out myself. 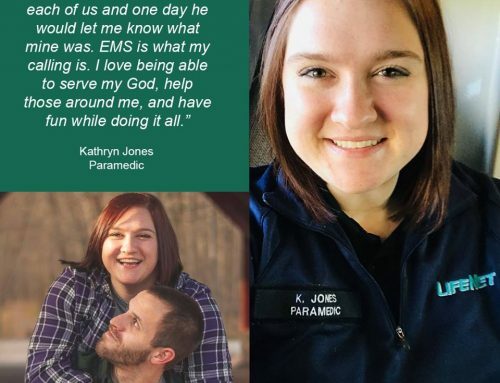 I ended up loving the field and really enjoy the act of helping others,” he said. Eli is currently helping his fiancé, Kambrie, with wedding planning. Outside of work and preparing for the “big day”, Eli enjoys playing video games, fishing, and hunting.